Last night, I prematurely posted a link to a sandwich recipe on my friend Erin’s blog. I say prematurely, because at the time, I merely thought it looked good enough to share. Oh, people. I had no idea. I went grocery shopping today, and bought the fixin’s to make Erin’s current favorite sandwich for lunch. I did give it a little bit of my own twist by adding a slice of turkey (which happened to also serve to satisfy Erin’s recommendation that if one does not want to enjoy a side of kettle chips with the sandwich, at least add a sprinkle of salt). People, I was OMGing about this as I was eating it, and for at least a half hour after I’d inhaled it. This sandwich will change your life. Ok, maybe not really. But OH-EM-GEE it’s so GOOD! Perhaps the only other thing I might add would be some bacon in lieu of the turkey, but I’m trying to behave myself, and the turkey obviously fits that bill much better. 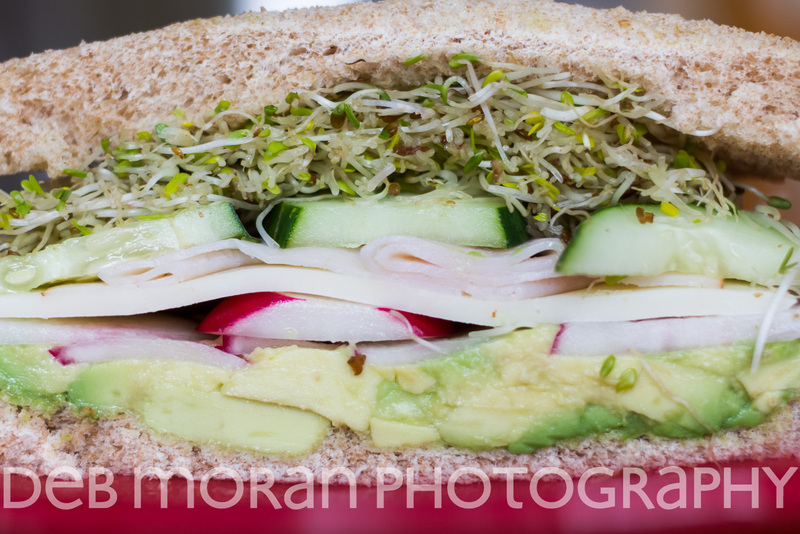 So, the gist is this: layer mashed avocado, radish, cheese (provolone or havarti – I did provolone because my deli counter was out of havarti), turkey, cucumber, and lots of sprouts between two slices of your favorite bread. I used plain ol’ wheat. Erin prefers oat bread. Personally, I think it’d be amazeballs on Ezekiel bread. Do yourself a favor. Try this. And please, visit Erin’s page to see just how she made it, and also her gorgeous step-by-step photos.